The following 6 robotic applications are the most common in the automotive industry.Collaborative Robots: these collaborative robots are built to work together with other robots, on enormous assembly lines. Robots must collaborate between handling and welding robots to make such assembly lines function properly. Robotic Painting: Professional painters are difficult to find and the job is a highly toxic one. This makes it perfect for robots because the paint job needs to be highly consistent over a large area of paint, and reducing the amount of wasted material can add up to quite a bit of savings over time. Robotic Welding: Robotic welding has been the top robotic application in the automotive sector for a long time, as every car needs a high number of welds before it’s complete. Given the high value of the finished product, productivity from automation is enormous. Robotic Assembly: In many automotive plants, robots are assembling smaller components like pumps and motors at high speeds. Often, robots are performing tasks like windshield installation and wheel mounting to increase throughput. Material Removal: High consistency and repeatability make robots perfect for material removal processes like trimming and cutting. This could be in the form of cutting fabrics, trimming plastic moldings and die castings or even polishing molds. Part Transfer and Machine Tending: Pouring molten metal, transferring metal stamps, and loading and unloading CNC machines are all best completed by a robot as they are dangerous. When completed consistently with little downtime they can also be a source of major productivity. The global Industrial Automotive Robots market is valued at 31500 million US$ in 2018 is expected to reach 54900 million US$ by the end of 2025, growing at a CAGR of 7.2% during 2019-2025. This report focuses on Industrial Automotive Robots volume and value at global level, regional level and company level. 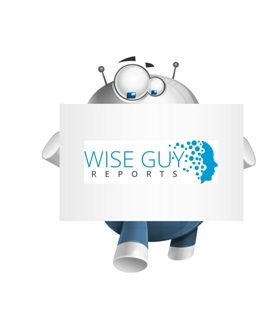 From a global perspective, this report represents overall Industrial Automotive Robots market size by analyzing historical data and future prospect. Regionally, this report focuses on several key regions: North America, Europe, China and Japan. Regional and country-level analysis of the Industrial Automotive Robots market, by end-use.